If you’re looking for a career in business administration, you are probably preparing for the GMAT exam. The GMAT or the Graduate Management Admission Test is required by various educational programs in universities and business institutions, and the results are considered an important part of the selection criteria. So, for anyone looking to get an MBA, a Master of Accountancy, a Master of Finance, or any other Business School graduate program certification, the GMAT is of paramount importance. The test is a computer adaptive test that will offer questions based on the candidate’s level of preparedness. This means the level of difficulty will adapt according to how you answer each question but the final result will also be influenced if you keep getting the wrong answer. The purpose of the GMAT is to assess various skills starting with language, writing, analytical thinking, reading, math (algebra, geometry, and arithmetic), and so on. The test won’t check your knowledge or skills in business or your level of intelligence, but it will decide if you have the right problem-solving abilities and the necessary analytical writing skills. It will also test your logic, critical reasoning, and data sufficiency, skills that are considered to be vital for success in the business and management world. The exam can be taken in standardized test centers in about 112 countries all over the world. It’s also one of the most sought after certifications for MBA aspirants and is considered the best way to test your level of success in business school programs. It’s also a very important step in your CV when you apply to any Business School in the US or other countries. Finally, the GMAT is also important for recruiters in the niche as it allows them to identify those people who have what it takes to make smart decisions when they are bombarded with information. So are you ready to start preparing for the GMAT examination? If yes, take a look below at the list of resources we proposed – these are well-known authors and the best GMAT prep books that candidates and people who already took their exam swear by. In 1912 pages, this study guide manages to capture everything you’ll ever need for the GMAT exam. The books have a well-defined structure that allows students to easily browse for specific information. And more importantly, the information is up to date and designed to help students score in the top percentiles. 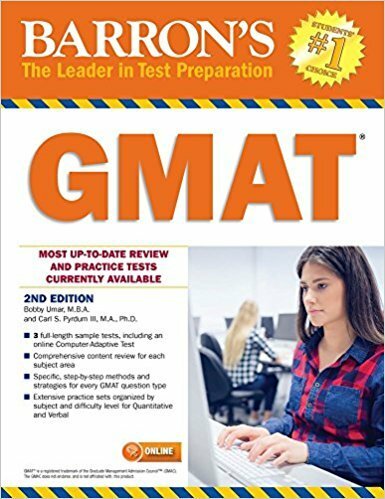 The authors are GMAT instructors with over 99% scores and the guidelines are designed to help students understand how the exam actually works. Even more, the content is consistently reviewed by students, who offer insight on how to make this guide the best on the market. Once you go through all the books, you’ll master the strategic thinking, knowledge, and skills required to get the best possible score on your GMAT. The guide also comes with 6 computer adaptive practice exams – very useful in understanding how this system works. To top that, students also get access to 200+ free practice questions organized in 9 online questions banks. These include various problems, similar to what students will encounter during the test. But the Manhattan Prep GMAT Guide is not just about content and questions. The guide also offers insight into the exam itself. There are lots of strategies that help you solve problems more effectively and detailed answers to the provided questions that explain the way you are expected to answer. On the downside, getting all ten books at once may be a bit expensive for the regular student, but this is easily solved by buying each book separately. The questions from the past exams help students understand the structure of the test and have the possibility to test their knowledge with previous questions. This is an important step in your preparedness and it’s quite unique since you won’t find it in any other guides. 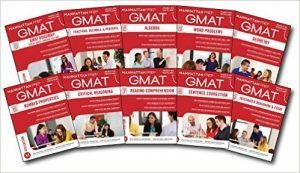 Another aspect we liked about the GMAT Official Guide 2018 Bundle is the access to 220 never-before-seen questions that will sharpen your knowledge and test your skills. You’ll also get online access to gmat.wiley.com where you get access to 58 additional integrated reasoning questions. Students also can build their own practice tests at this address, using the questions that can be found in the guides. As a total, you’ll have exclusive access to over 1500 real GMAT questions. The online location also offers access to video materials which are easier to follow than the books. 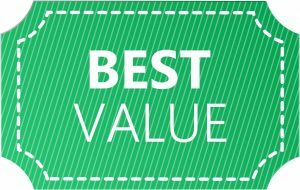 With all the information available online and the real test questions, we think this is the guide that will offer you the best bang for the buck. It’s not expensive to begin with, and the information it offers is priceless. The package comes with four best-selling prep books that sum a total of 2294 pages, and access to online resources. Sadly, you can’t buy the books separately, but the price is quite acceptable. Kaplan GMAT Complete 2018 promises students that they will be granted access to comprehensive guides (the four books) containing everything you need to know for the exam and strategies that will help you master the skills you need to know. Also, you’ll be familiarized with the exam’s computerized format due to the available online practice section. The online section is a great idea as it offers access on the go. This way, you can practice from any device with a connection to the Internet. 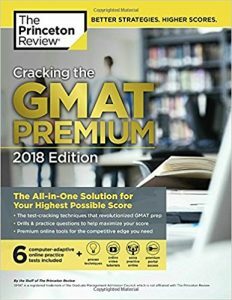 One unique feature that impressed us with the Kaplan GMAT guide is the promise that they’ll refund you in the case you don’t score higher in the exam after using their prep books and online resources. This comes from a complete trust in their team of experts who studied every GMAT related document available. 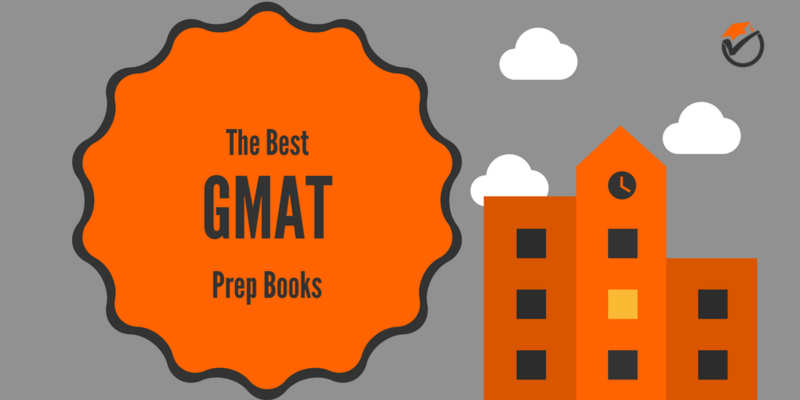 The Princeton Review Prep Book is a fantastic choice for anyone looking to test their knowledge on the GMAT topics. Besides the tips and strategies that are extremely valuable for all students, the guide also comes with access to 6 full-length CAT (computer adaptive test) practice exams online. In the 768-pages guide you’ll find information on tactics that help in avoiding test traps that are usually implemented in the GMAT and step-by-step indications on how to solve problems and find solutions to the toughest question types. The questions and strategies presented manage to cover all the topics required for the examination (Math, Verbal, Writing, and Integrated Reasoning skills), but you won’t find any actual content to review. Each of the online CAT practice tests come with a diagnostic warm-up that will help you identify weaknesses in your preparedness (if any). Even more, besides the 6 tests, students can also browse through 180+ additional practice questions that will gradually increase in difficulty. Finally, by purchasing the Cracking the GMAT Premium Edition, you get exclusive access to the Princeton Premium Portal where you’ll find in-depth video tutorials creating by course instructors, more online practice questions, study plans, and more. 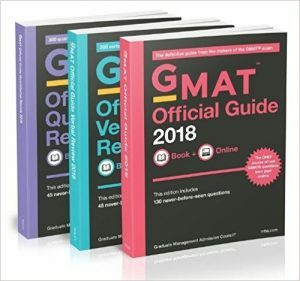 This 800-pages review guide is authored by GMAT award-winning instructions and North America’s leading experts in the niche. It is also an updated version of the original Barron’s GMAT guide and comes with an arsenal of strategies, processes, and methods that will help you ace the exam. Each question is explained in full detail so you’ll know why the chosen answer is correct. It’s the best choice when you’re on a budget but still want to check if you’re prepared for the exam. The guide does cover all the four main areas required to pass the test (Verbal, Quantitative, Integrated Reasoning, and the Analytical Writing Assessment), and it describes all the challenges one may find during the computer adaptive exam. We loved the Diagnostic Skills Test feature – this is represented by initial quizzes for each main area that assesses your strengths and weaknesses. Even more, authors target topics that usually pose problems such as probability, data sufficiency, and parallelism. So, by solving/answering more questions and problems in these areas, you’ll get to understand them better. The cool part is that the available questions are available for the full range of content – this way you can choose the result you’re aiming for (70% or 90%). It is also considered the only guide with that much info on strategies and methodologies on the market. 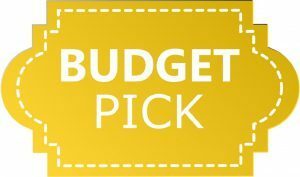 If you consider the prices vs. the level of information you get via each of the resources above, you’ll notice that preparation for GMAT is not expensive. While the ‘Manhattan Prep GMAT Set of 10 Strategy Guides’ is indeed a bit high on the price tag, you will get 10 well-organized, comprehensive guides and access to a wide range of online resources. 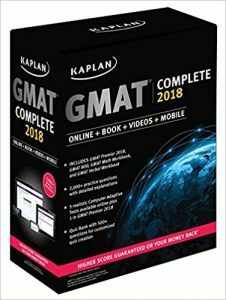 The ‘GMAT Official Guide 2018 Bundle’ and the ‘Kaplan GMAT Complete 2018’ are less expensive and offer more online resources, but the level of comprehensiveness is not the same as with the first resource. Still, someone familiar with the exam and topics may use them as their base resource just as well. Finally, the ‘Princeton Review Guide’ and the ‘Barron’s GMAT updated edition’ are amazing at assessing your level of preparedness. 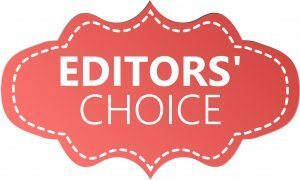 Both guides come with a lot of questions and information regarding the exam, but the ‘Barron’s GMAT’ is the less expensive one. So, if you want to make sure you’re prepared for the test, mix and match the resources we discussed today. Any combination of prep guides and review guides will work for most candidates.